There is always a time lag between extraordinary events and the art they give rise to. Memories and facts mulch down to productive soil, aerated by prevailing moods and watered by thought. Seeds germinate and creations eventually flower. We appear to be at the start of a season of art rooted in the refugee crisis. Rufus Jones has grown something quite special in the shape of Home, which has the structure of a sitcom but whose unfolding tale of Sami, the Syrian refugee taken in by an ordinary family in Dorking, has been so moving and thought-provoking that I feel an urge to classify it as a kind of new embodied journalism-comedy hybrid. 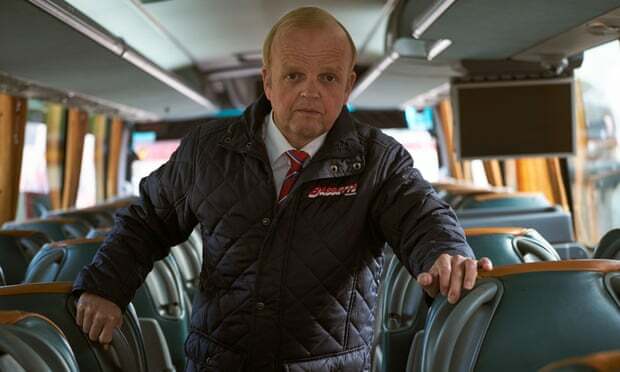 Now we have Don’t Forget the Driver (BBC2) about beleaguered coach driver Pete (played by Toby Jones, who also co-wrote the series with Tim Crouch). It features the arrival in his life of a woman he finds hidden in his vehicle’s luggage bay when he returns to the depot in Bognor Regis after taking a group of day-trippers on a booze ‘n’ respects run to Calais and Dunkirk. It is billed as a dark comedy, but the first episode is a virtually laugh-free, slowly-painted portrait of a day in the long littleness of Pete’s life. That’s not a complaint – or if it is, only about the mislabeling, not the product which is a pitch-perfect evocation of the unremarkable existence of an unremarkable man in a seaside town, both of whose best years are behind them.